What a Healthy Family Eats: September's Book Giveaway- Vegan Lunchbox! 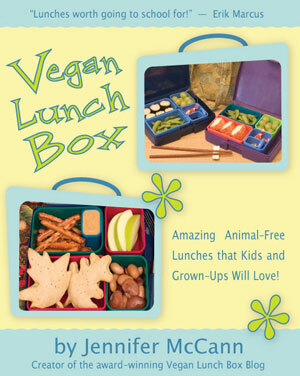 This month I am giving away a copy of Jennifer McCann's "Vegan Lunchbox". Jennifer was a coaching client of mine from over a year ago. She has since come out with a second book called "Vegan Lunchbox Around the World". I love her Martha Stewart like creativity. The recipes are easy to make and will make any child or adult feel special when they open up their lunch! Good luck and remember to subscribe so you can receive notice in your email when I post a new blog entry! I really like vegan lunch box! Really excited about your contest!! Very cool! Hi Kristin! Do you already have a copy of the book or have you tried any recipes from the book? Just saw this book for the first time yesterday at Heidi's. It looks fantastic!